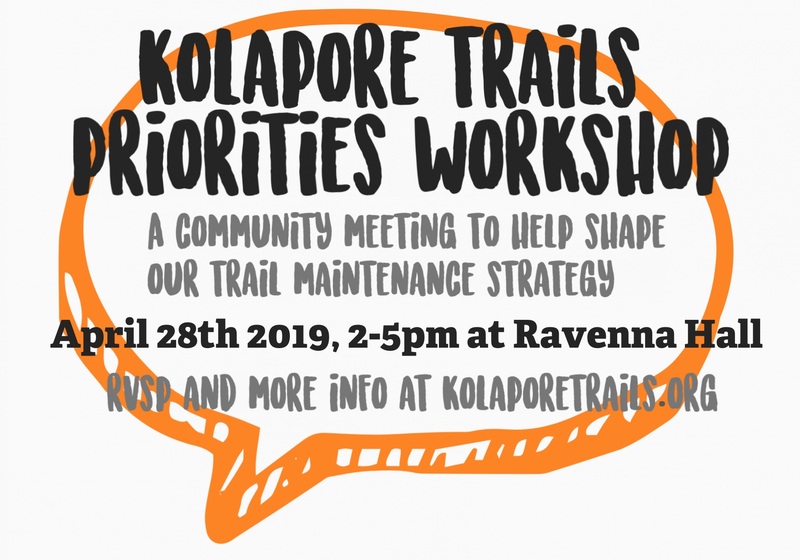 The Kolapore Wilderness Trails Association is producing a 5 year trail maintenance plan. We want your input! Join us for a Trail Priorities Workshop, a community event to help shape our trail maintenance strategy. Sunday April 28th, 2-5pm at Ravenna Hall (corner of Grey 2 and Grey 119). This will be a fun, participatory event where we’ll collaborate on a shared vision for how the trails can be maintained for the benefit of all trail users, while preserving its unique ecological properties. Skiers, climbers, hikers, bikers, trail runners and other trail users. Admission is free, just bring ideas and desire to collaborate. We’ll have snacks, coffee and tea.